Plain white envelopes are included free or you may purchase matching envelopes. 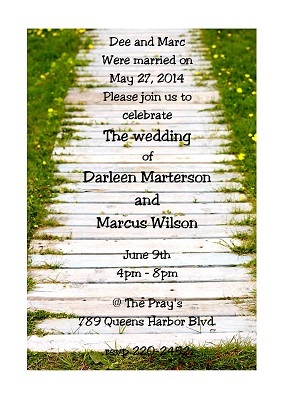 We now offer digital invitations for this design. Give us your wording, we provide you a printable image and you print. Total cost is $12.50 for an unlimited number of proofs. Digital Invitation - We provide a digital image with your wording and you print or send in an email. -You will receive a proof via e-mail within 2 business days (business days exclude Saturday, Sunday and holidays) of placing your order. -Products will be shipped within 2 business days (business days exclude Saturday, Sunday and holidays) of proof approval. If you would like an e-mail proof of the final product, please check "Yes" below. Please note that proofs may delay processing time. If you are ordering blank invitations, please select "No" below. Use your own creativity or use the format shown on the sample above. All lines will be centered unless you specify otherwise in Special Instructions below. Print all text exactly as you would like it to appear on your announcement including poem on the sample (if desired). In the Order Quantity section above, if you have selected "Return Address printed on your envelope", type the two line return address that you would like printed on your envelope. 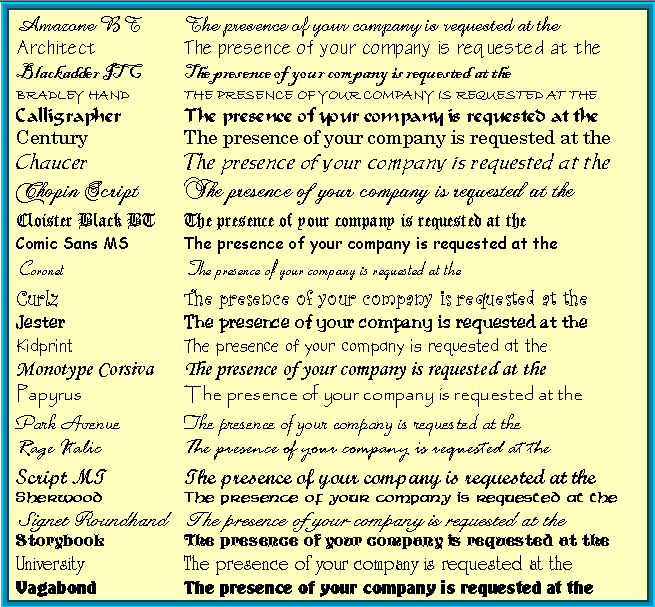 Complete this section only if you are ordering response cards, otherwise leave this section blank. I have re-read my wording and request Kamyra in Print to charge my credit card and Print exactly as I have typed.